I've been a big fan of Essie polishes since they came onto my radar a little while ago. I was impressed with their amazing quality, their ease of application, how well they last and their fantastic range of different colours. However, I only really like spending £5 max on a polish (at a push), and as these are in the £7.99 range they're a tad out of my price-range. I definitely think they're worth the price, but as a nail polish-aholic like myself I can't really afford to house a huge collection of them, which is really unfortunate as I really, really love the products. 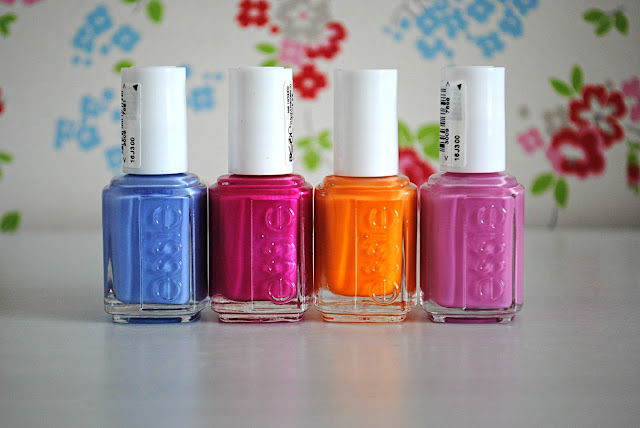 However, I recently discovered that a few websites are actually selling Essie polishes for ridiculously cheap prices. I saw Fee blog about Fragrance Direct and Xtras Online selling Essie polishes for as little as £1.99 a piece, which to me is a fantastic price. I couldn't resist taking a look on both websites and placed a couple of cheeky orders. Now, they don't stock that many shades on either website but apparently they get restocked a lot and different shades tend to circulate so it's best to keep checking back. I first placed an order on Xtras Online as it was free delivery and I'd fallen head over heels for the shade Tour de Finance which was on there. It's a gorgeous, slightly shimmery deep berry pink that looks amazing on toes. After purchasing it I went back to Fragrance Direct (after finding a couple of 10 and 5 percent off codes) and ordered three polishes; Bikini So Teeny, Action and Cascade Cool. These three are probably my favourites out of the lot and turned out to be the cheapest! Bikini So Teeny is very muted-down bluebell colour, similar to Models Own Beths Blue, a polish I absolutely love. 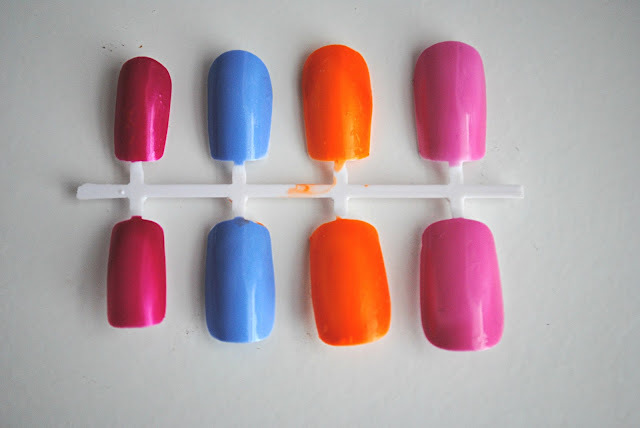 Action is a really bright yellow-toned orange that is totally perfect for summer, and Cascade Cool is a ridiculously pretty candy pink colour, which is unlike any other polishes I own. I am so pleased I discovered these affordable Essie polishes as I seriously cannot fault Essie for quality - even the thick brush on the polishes astounds me! I'm definitely going to be checking back on both the websites mentioned to see if they get more shades in, as I can see me building up an addiction to buying Essie polishes online! Are you a fan of Essie polishes? Let me know if you've ordered some from Xtras Online or Fragrance Direct before!